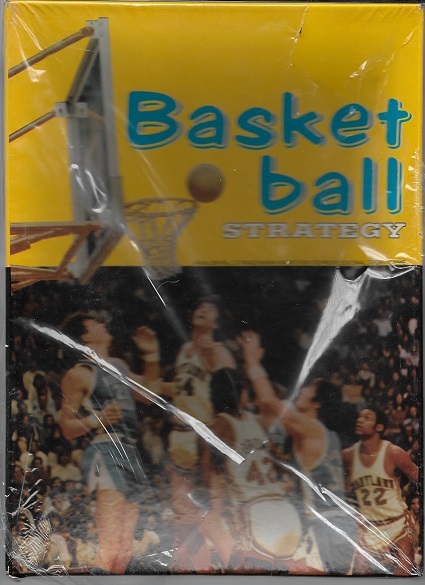 Avalon Hill began producing it's BASKETBALL STRATEGY Game in the early 1970's. This was the final game created in their sports strategy series (following Football Strategy in 1958 and Baseball Strategy in 1960). Later versions bore the "Sports Illustrated" moniker. This particular copy has never been played. It remains still in the wrapper (more or less). 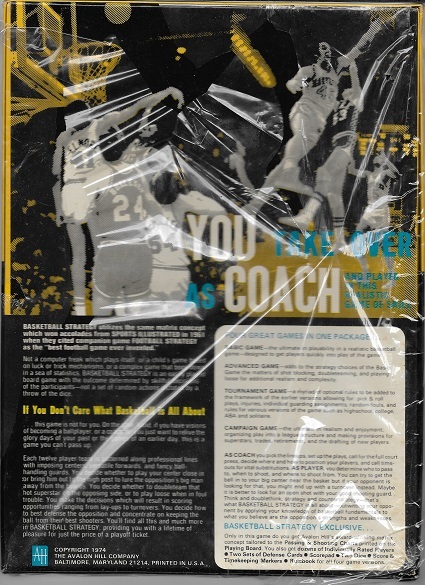 As you can see from the pictures the shrinkwrap is badly torn but the game was never removed from it's wrapping. The game box is in VERY GOOD-EXCELLENT condition. The lid has suffered some caving from poor storage but no tears, no significant stains and no writing. I would grade it 6-7 on a 10 scale (see condition guide below).